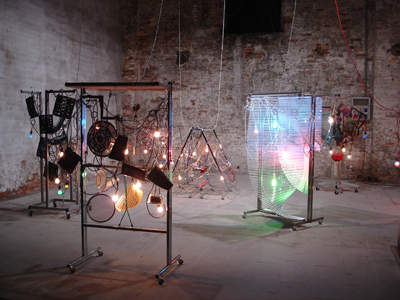 The 53rd International Art Exhibition, titled Fare Mondi // Making Worlds // Bantin Duniyan // Weltenmachen // Construire des Mondes // Fazer Mundos, directed by Daniel Birnbaum, took place from June 7th to November 22nd 2009 in the Giardini (50,000 sq.m.) and the Arsenale (38,000 sq.m) exhibition venues, as well as in various other locations around the city. The Director of the 53rd Exhibition, Daniel Birnbaum, has been Rector of the Staedelschule Frankfurt/Main and its Kunsthalle Portikus since 2001. Making Worlds, presented in the renewed Palazzo delle Esposizioni in the Giardini and in the Arsenale, was conceived as a single, large exhibition that articulated different themes woven into one whole. It was not divided into sections. 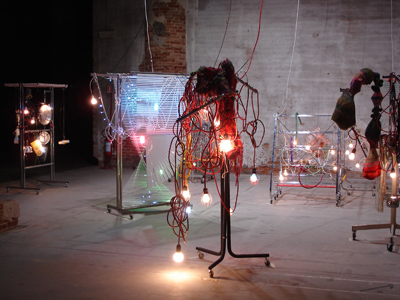 Considering collectives, it comprised works by over 90 artists from all over the world and included many new works and on-site commissions in all disciplines. "The title of the exhibition, Making Worlds – declared Director Daniel Birnbaum – expressed my wish to emphasize the process of creation. A work of art represents a vision of the world and if taken seriously it can be seen as a way of making a world. The strength of the vision is not dependent on the kind or complexity of the tools brought into play. Hence all forms of artistic expression were present: installation art, video and film, sculpture, performance, painting and drawing."